The weather is still quite cold lately so it’s a good time to stay home and enjoy some relaxing time. Why not watch a good show? A series is a show that continues over many episodes, continuing the same story, week after week. 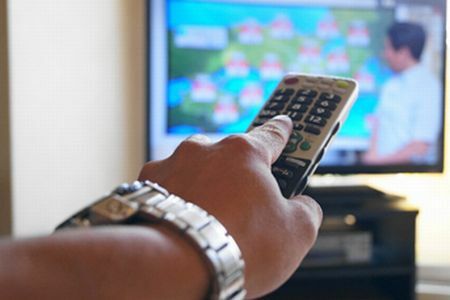 With internet, it has become easier to see TV series from all around the world. From your couch in your living room, you can browse through hundreds and hundreds of series and watch an episode right away. People used to have to wait a week and to tape the episode or to be sure to be in front of their TV at the right time. Now it’s so much more convenient. So, how to talk about TV shows? What kind do you watch, did you watch an episode, or a full season of a series? A TV series is made of seasons. Very successful TV series can have 7, 8 or even more seasons. Each season has episodes, usually released once a week. Some series have long episodes (50 minutes) but some have short episodes (20 minutes). The first episode of a series, the season premiere, can be a little longer as it introduces new characters and maybe a new situation. Sometimes, the last episode, the season finale, can also be a bit longer to reach a conclusion and wrap up the season’s storyline. The plot is what links all the episodes and seasons together. It is the main storyline running in the background. 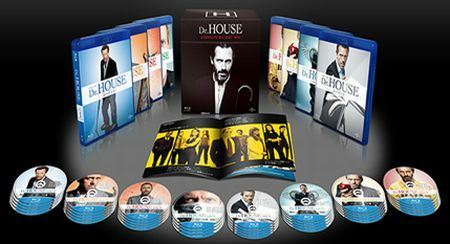 For example, Dr House has a new patient and case in each episode but his own personal story continues in the background. The plot is not about the patients, but about him and his coworkers. The three main kinds of TV shows are comedies, dramas and documentaries. When comedies feature characters leading a regular life but with a lot of jokes, we call it a sitcom (situation comedy) Big Bang Theory or How I met your mother are famous examples of sitcoms. Sometimes in the background of the episode, you can hear people laughing. This is the laugh track. They recorded people laughing and play the track whenever there is a good joke in the episode. It is supposed to make you laugh even more. Dramas are more serious, usually with a lot of suspense and quite captivating. Homeland, Game of Thrones or Breaking Bad are all dramas. Very often, episodes end with a cliffhanger: something unexpected happens at the last minute, and of course you really want to see the next episode to know more! But sometimes, the stories are about real life. If the series is not a fiction, it is a documentary. It can be about nature and animals like in Planet Earth, or it can be about people like in Making A Murderer. So what kind of TV shows do you watch? What is your favorite? Do you watch series one episode at a time or do you tend to binge-watch (watch many episodes on the same day)? Let’s talk about it next time!